I’ve written about how during the past decade, journalism funders have been finding more and better ways to work together. 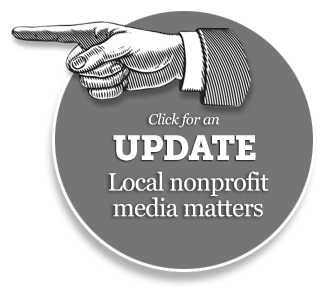 During the past seven years, for example, we teamed with others to help journalism nonprofits develop better business practices through a project called the Challenge Fund for Journalism. A recent study of the Fund showed how it helped 53 journalism nonprofits, professional organizations and media outlets. The fund’s partners were Ford, which created the project, as well as Knight, McCormick and Ethics and Excellence in Journalism. The management consulting firm TCC Group coordinated. Some organizations, usually the smallest, got fundraising and administrative training only. Others got training as well as a grant that they could collect only if they could raise twice as much funding by themselves. That’s like giving away a fish if someone can catch at least two more on their own. Hence, the name of the report, “Learning to Fish.” As noted before, the largest amount of philanthropic money given away each year in the U.S. comes not from foundations but from individuals. The challenge fund helped nonprofit journalism groups learn to fish where most of the fish really live. The foundations put in $3.6 million, and the grantees found almost $9.5 million in matches. Nine in 10 made their matching goal. In addition, 85 percent said they experienced positive organizational change as a result of the project. The groups that did the best realized that “business as usual” was no longer an option. They appealed to individual donors and broadened their foundation requests to include grant-makers who care about the issues journalists cover, such as civil society or public health. They built new firewalls so certain types of no-strings corporate grants would be allowable. The International Center for Journalists, for example, doubled revenue from planned gifts and bequests between 2009 and 2012. The Center for Public Integrity ramped up efforts and revenues from individual donors. Investigative Reporters and Editors diversified its revenue streams. Obviously, the better a group is at delivering the goods, the better its fundraising position. TCC’s coaching, peer meetings and other efforts helped the organizations during a time of “drastic upheaval,” as Ford’s Calvin Sims put it, that caused regular sources to dry up. Said Andy Hall, executive director of the Wisconsin Center for Investigative Journalism: “The greatest value of the initiative was that it enabled us to try out new strategies for growth, which ultimately helped change our business model.” The center added board members who knew how to raise money. It expanded its corporate sponsorships and introduced new fundraising events. After this post on Knight Blog, foundations created a Challenge Fund for Innovation in Journalism Education offering micro-grants to universities that develop live-new experiments advancing the “teaching hospital” model, which I argue is not yet fully built.